This recipe pays tribute to fresh stone fruit by keeping it from heat and seasoning it simply, letting the taste of late summer do the work. The nectarine, apricot, and plum add such a lovely, pleasing-to-the-eye color combination to the plate and a sweetness you won't forget. The burrata brings the salty, savory flavor that brings the perfect balance. Serve with some fresh bread for a nice lunch or toasted pieces of bread for a make-your-own bruschetta. If you can't find burrata cheese, a good quality fresh mozzarella will work just as well. Even though this recipe is all about the stone fruit, you could substitute figs, apples, or pears if it isn't stone fruit season. Cantaloupe or honey dew melon would also be a good substitute for the nectarines, plums, or apricots. Per Serving: 536 calories; 33g fat; 33.6g carbohydrates; 30g protein; 90mg cholesterol; 1022mg sodium. Simple and tasty dish to serve for a get-together. 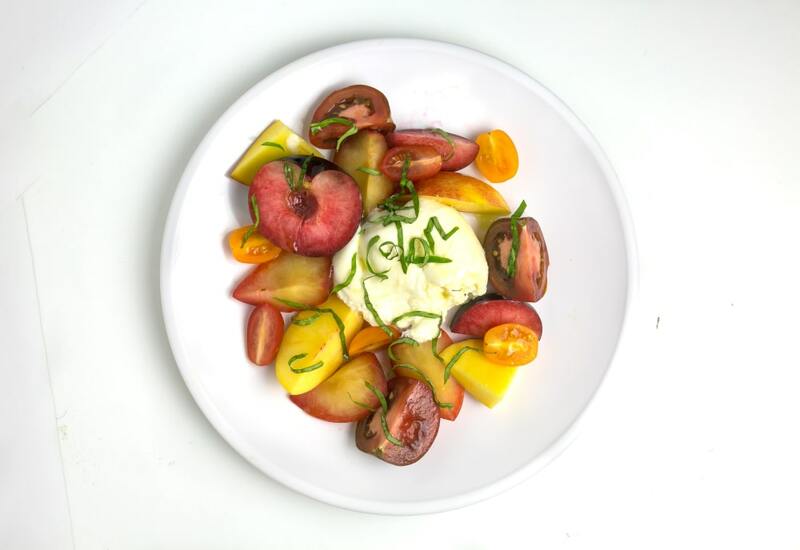 All of the stone fruit pairs very nicely with the creamy burrata cheese. If you want to go the extra mile, try grilling some of the stone fruit like the plums and/or nectarines. It will add an extra delicious level of flavor this already sweet and savory treat. This is a pretty salad and it tasted delicious. I tried grilling the plums and nectarines and it was really yummy. Perfect for summer!